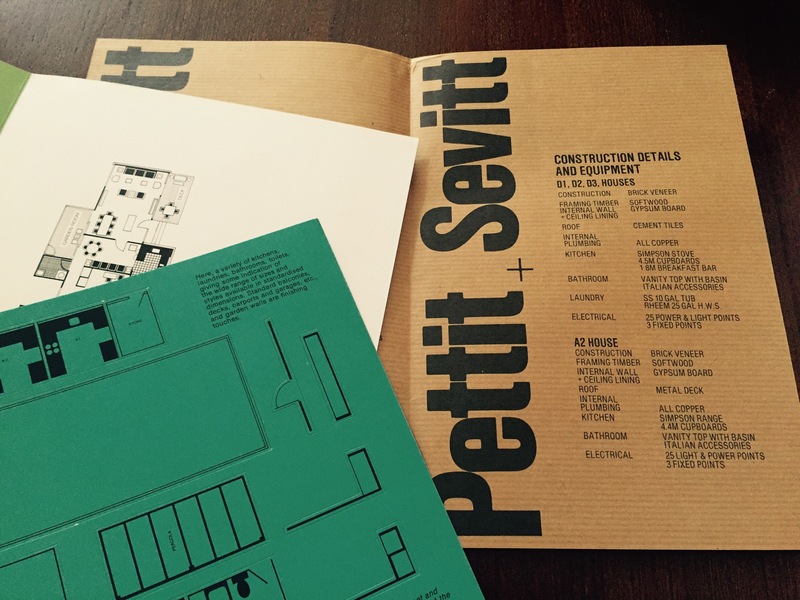 Pettit + Sevitt Elements | Sydney House. When we first purchased our house, the real estate agent hadn’t even noticed it was a P+S. Needless to say they freaked out afterwards, realising they might have been able to sell it for more. Nevertheless, we confirmed with the seller’s son and it was indeed an early Pettit + Sevitt Lowline designed by Michael Dysart and Ken Woolley. The real-estate advertisement suggested ‘capitalising on the block’ and the risk of demolition was high, so we felt lucky to have saved it. There aren’t too many Lowlines left it seems, at least not in their (mostly) original format. The seller was the original owner and she and her husband had built it some time after buying the land in 1964. 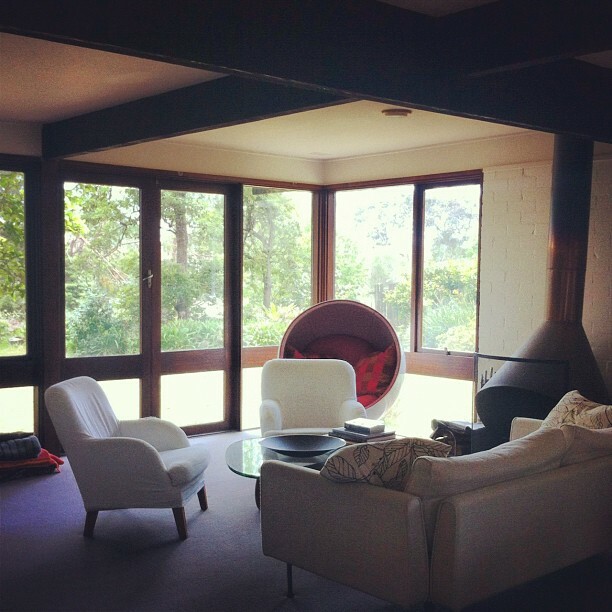 So we set off researching as much as we could about P+S, arguably one of the leading project home companies which began in the 1960s and built modern homes in the now coined “Sydney style” which had been influenced by the international modernist movement, Japanese architecture and new materials. Fortunately, we didn’t have to go too far. Our architect Sam Marshall came across materials in his files and gave them to us. We were a bit excited to receive two original brochures with very modern typeface (for its time) and a pop-out planner to help buyers decide on the layout of their very own P&S…what trailblazers. These materials have allowed us to know for certain what the house was made of, which is pretty important when thinking about an addition, or what to conserve, and how to renovate in line with the intentions of the plan. All of these have stood the test of time and we’ve been lucky not to have termites with the choice of quality wood. The materials chosen were affordable options for the 1960s and 1970s, but as most P&S owners know: cork is quite costly today due to the worldwide shortage, and oregon needs to come from North America so many people elect for another wood. We’re hoping to stick with those materials and we definitely won’t be “whiting everything” out by ruining the beams with white paint. Its true some owners feel they need to paint everything out to make it suitable for today, but I disagree. Our home has good northern light and white walls already. The tones provided by the beams, trims and door colours make it comfortable and reflect a relationship with the eucalypts of the outdoors. Had our home been given splashes of orange in all the wrong places, I’d be tempted to update that! 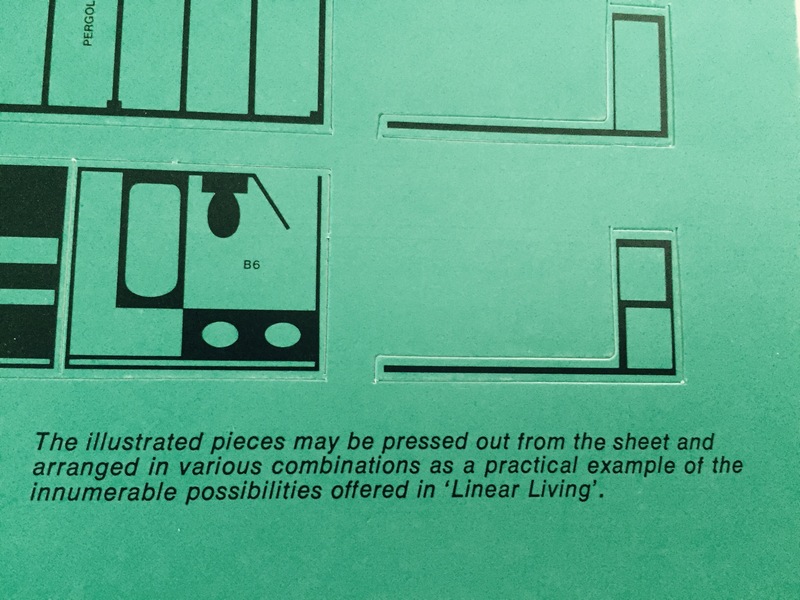 Another element of the house is the grid used for designing the house was incredibly practical. We discovered this when replacing the 40+ year old berber carpet. (Yes, it had to go. We could have purchased it again as it is available and very hard wearing, but we decided on a ‘possum’ grey commercial grade wool to complement the dusty grey/eucalypt internal doors…but I digress). Our carpet layer arrived for the measurements and immediately stated “You can tell this house was designed by an architect.” How we asked? “Because each room is sized exactly to fit a broadloom carpet standard width of 3.66 metres or 4 metres without wasting any. Prior to the 1960s, broadloom was not widely available in Australia,” he said. (So, I can attest to the decades of experience of the carpet professionals at Mr Carpet Sydney)! His information was further corroborated some weeks later went we visited Rose Seidler House. Although we’d visited the historic home before, this time I paid special attention the carpet. Sure enough, the carpet was not broadloom because the home had been built much earlier than ours, in 1950, and was a custom design by Harry Seidler not a project home design. 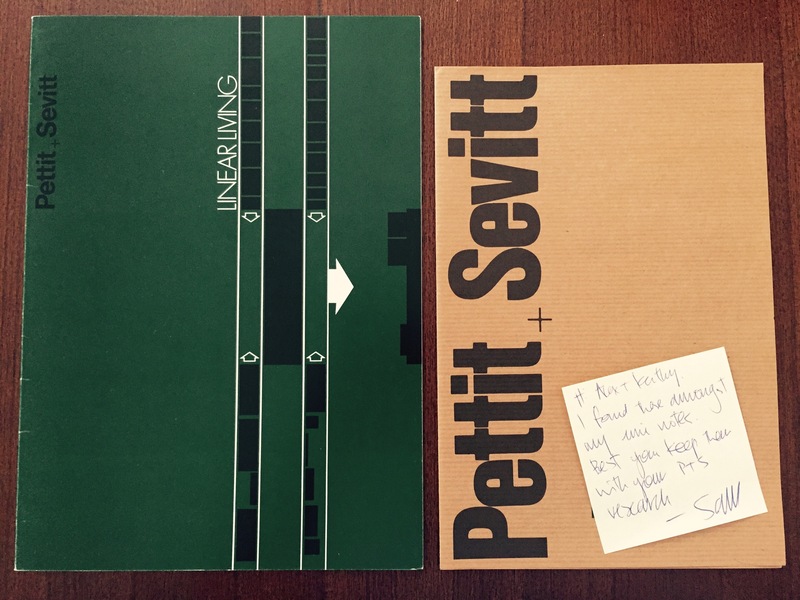 Original brochures from Pettit+Sevitt above. Wooden beams and features in our Lowline above. 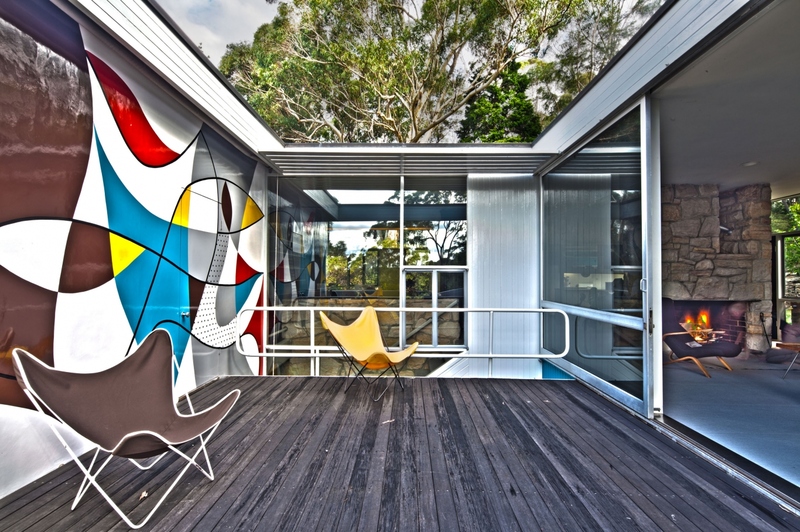 A peak of the carpet can be seen from the well-known deck at Rose Seidler House above. UPDATE 2017: Here are some more pictures of the cut-outs in the P&S marketing material as requested. Hi Alexandra, I do still have it but it’s fairly fragile. I’ll try to take some more photos and add it on the post. You could also try the Power House Museum which received a lot of P&S records and they are kept in their archives. Pingback: Lap, kidney, rectangle: The pool dilemma | Sydney House.